As a natural extension to our business, we started to offer a roof cleaning service. However, after doing a handful of jobs we quickly realized that power washing roofs is not a good idea. Reasons being? 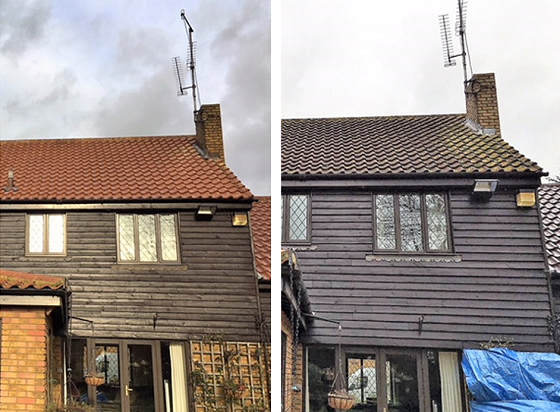 Firstly, even with relativity low pressure you are potentially damaging the roof tiles by making them more porous, so yes you are cleaning them but may be shortening the time before roof would need replacing. 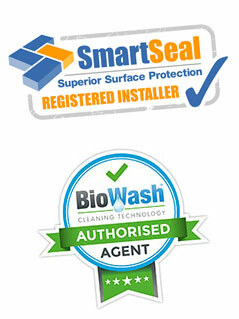 However, we then discovered BIOWASH ROOF CLEANING, this has completely revolutionized the roof cleaning industry. BIOWASH is a cleaning process that relies on soft wash technology using just biodegradable chemicals to gently clean the roof. Furthermore, we can clean most roof from the floor or gutter level using our specialist equipment imported from the USA.